Kevin Durant is coming off of back to back NBA Championships. Now he has his eyes sight on retirement, sort of. In an interview with ESPN, Durant said he could see himself retiring at 35. Durant turns 30 in September, for most it is too young to retire. Durant’s business partner Rich Kleiman, has heard Durant mention it before but does not believe him. “I heard him say that, but I’ll believe it when it happens,” Kleiman said. 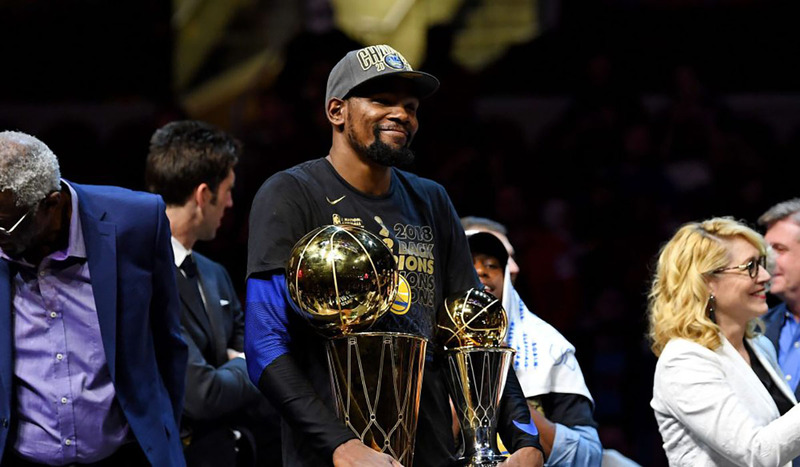 If the Warriors continue to dominate the NBA, what else would Durant need to prove if they won at least two more titles? The answer is nothing at all.